[Via Satellite 12-12-13] ATK has successfully completed the last major technical milestone in its contract from the U.S. Air Force Space and Missile Systems Center Defense Weather Systems Directorate. 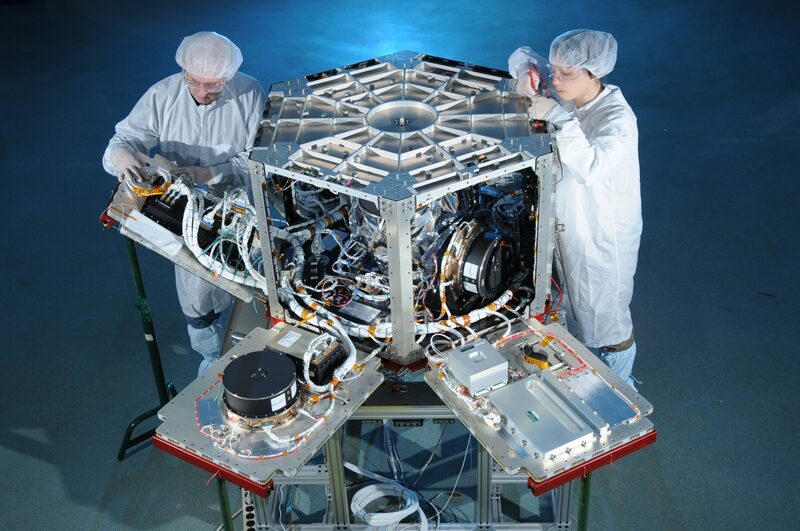 The company worked on a yearlong study of network-centric small satellites as an element of future weather satellite systems for a possible next generation operation system. The end result would leverage existing commercial satellite infrastructure to reduce operational costs and shorten delays in transmitting data used for military, scientific or disaster recovery exercises. The Nov. 14 demonstration, led by prime contractor ATK and subcontractors Hughes Network Systems and NASA‘s Jet Propulsion Laboratory, displayed final data products on a hand-held device and validated the impact of a more nimble configuration of networked systems that can meet the needs of new missions. ATK studied the capability of its A200 small satellite bus used in ORS 1 and TacSat 3 missions for the Department of Defense to accommodate a wide variety of weather sensors. The effort was completed under the Broad Agency Announcement for the Weather Satellite Follow-On Activities Risk Reduction Technology Project.